theZoomer: Television For Boomers With Zip! 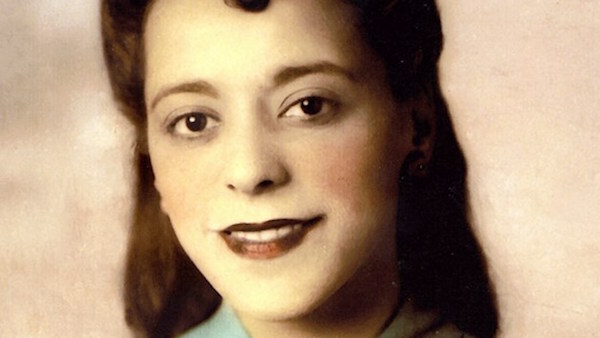 Bank of Canada Unveils a Vertical Viola Desmond $10 Bank Note - theZoomer: Television For Boomers With Zip! Today (March 8, 2018) as part of International Women’s Day, Finance Minister Bill Morneau and Bank of Canada Governor Stephen S. Poloz unveiled Canada’s new $10 bank note. 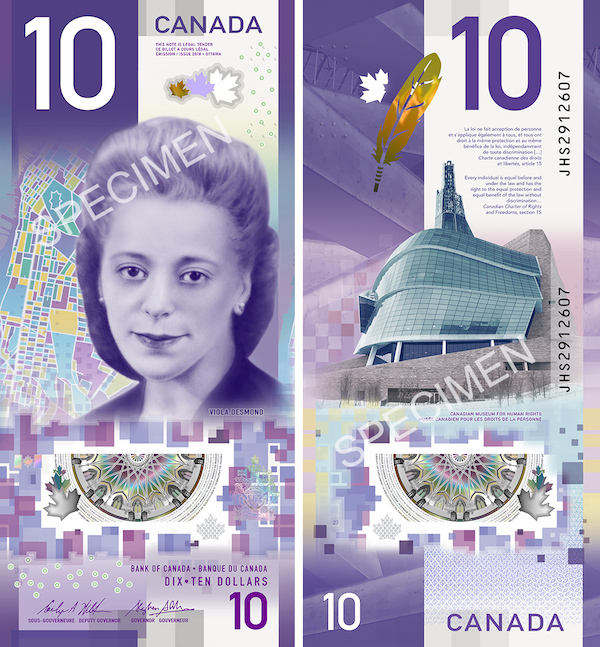 The note, which will be placed into circulation later this year, features culturally impactful Canadian, Viola Desmond. 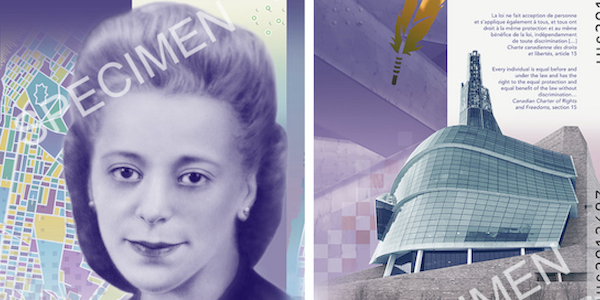 Desmond was selected after Minister Morneau asked Canadians to nominate an important Canadian woman for the next redesigned bank note. Apart from Desmond, what is also initially striking about this note is that it is the first vertically oriented bank note to be issued in Canada. While there’s a whole lot of important new imagery featured on this note, it still has the classic purple colour scheme that Canadians have come to expect from their $10 bills. On a recent episode of “theZoomer,” host Libby Znaimer and a collective of financial specialists gathered to discuss investment trends, taxes, retirement planning and how to protect your hard-earned money. You can watch this episode below.